The Zika Virus: Concordia biology professor Jean-Philippe Lessard investigates the sudden resurgence of a decades-old disease. The Zika virus, a mosquito-borne illness first discovered in Africa in the 1940s, is making headlines because of an alarming jump in the amount of reported cases in Central and South America. Since last year, the virus has affected thousands of people in Brazil and other tropical countries. While the symptoms are relatively mild, medical researchers have recently linked it to the birth defect microcephaly, which causes babies to be born with abnormally small heads and to suffer from brain damage. In Brazil in 2014, there were only 147 cases of microcephaly. Last year, as the virus spread, that number jumped to 2,782 cases. Health officials there are advising women not to get pregnant. Jean-Philippe Lessard is an assistant professor in Concordia’s Department of Biology. He runs the Community Ecology and Biogeography Lab. We asked him to provide some information about why the decades-old virus has suddenly become the scourge of the New World. The Zika virus was not recorded in South or North America until recently, and its arrival was probably due to transfer by humans. Within the mosquito genus Aedes you have several species, some of which are unique to Africa, some of which are unique to South America and some of which are found everywhere. It seems like this virus is able to switch from one species to the other as long as they’re within that genus. 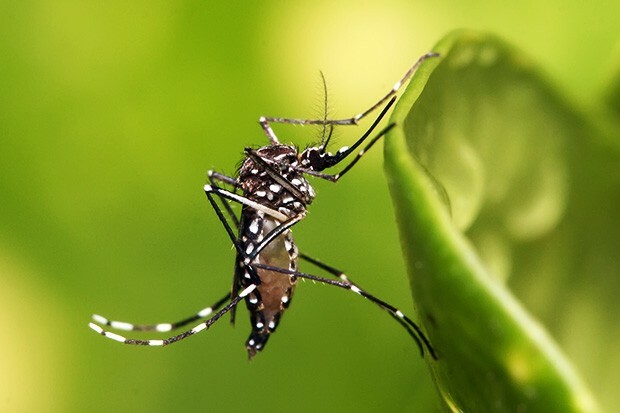 The species of mosquito that carry the virus are found in tropical environments all over the world — the main one being Aedes aegypti, which is found in Africa, but also India, South-east Asia, South and Central America, and also a little bit in the south-eastern United States. That seems to be the main vector. Eradication efforts are underway in urban areas to reduce the chance of exposure to humans, and it's worked out in the past. You won't eradicate these mosquitoes, because they're everywhere, but if you reduce their density, you reduce the chance of them transmitting the disease. The main problem is that when you bring a new virus into a new place, humans' immune systems are not adapted to it, and the virus takes advantage of this. You get big outbreaks because of that. Eventually, the human body will adapt to it and learn to fight it off. In Africa, there's likely a higher rate or proportion of people who are immune. That's what evolutionary theory would say, at least. They're engaged in what we call an arms race, where the virus tries to become stronger and the human body tries to respond to it. They've been engaged in that race for about 50 years in Africa, and so there’s some kind of equilibrium that has been reached there. In South America, it's a new phenomenon, so it might take a while before we see that happen. ﻿Will it spread to North America? People are ﻿worried because incidences of the disease are being reported further north, closer to the United States. But if you look at other similar, neotropical viruses like Dengue or Yellow Fever, even though they're carried by the same type of mosquito, the occurrence of these diseases is relatively rare in the United States. This suggests that some kind of climactic barrier exists that prevents the virus from doing well in temperate climates. It's not enough just to have the mosquito; you also need to have the right climate for the virus to do well. The other thing is that, right now the virus is contained within one species of mosquito, Aedes aegypti, and that species is not widespread in the US. If it switches to other species of mosquito, then it could become more problematic. This evolutionary switch has not happened yet, and even if it does happen, as it happened with yellow fever and dengue already, it still doesn't mean that the virus will be able to tolerate winter and the drier conditions that we have. I think a lot of things need to happen before it becomes a tangible threat in North America. Some scientists have built models trying to predict zones that would be suitable for the Zika Virus. They show that Florida could be a high-risk area. But if you look at other neotropical viruses transmitted by the same mosquitoes, you would also predict finding them in the Eastern United States and especially Florida, which is kind of tropical. But you still don't find them. Obviously, this particular virus could follow a different evolutionary path and evolve very, very quickly to adapt to both a new mosquito and new climactic conditions. But again, it's unlikely based on what we know. Find out more about Concordia’s Department of Biology.